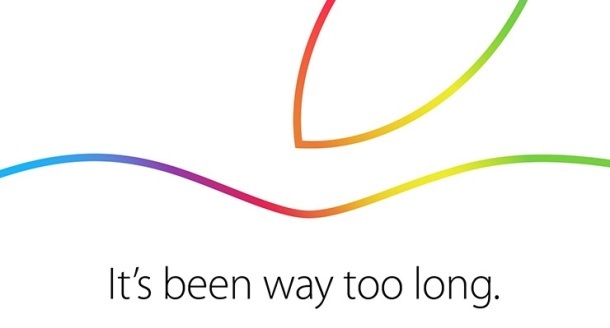 As the rumors anticipated, Apple has officially announced an event next week for October 16. The keynote event is scheduled to begin at 10 AM PST at their Cupertino campus Town Hall auditorium. It’s currently unknown whether the event will have a live video stream or not. 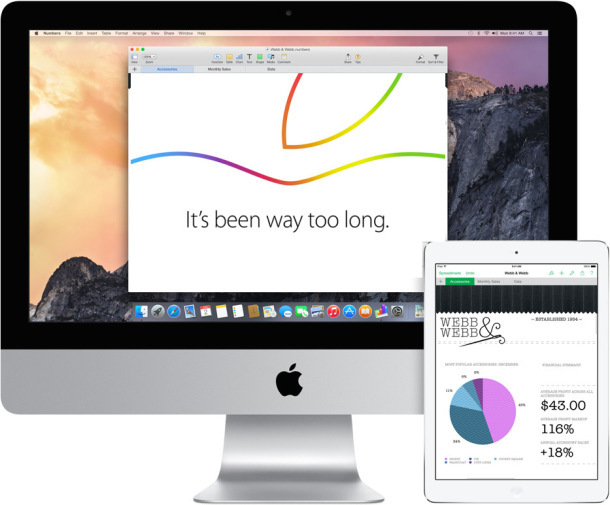 Multiple updates to the Apple hardware lineup are expected. Notably, the iPad is likely to receive a boost to include faster processors, the addition of a Touch ID sensor, and a new gold color option for the aluminum chassis. New iMacs complete with high resolution Retina displays are also expected to debut, making them the first desktop Mac with a Retina display. OS X Yosemite is also expected to be released to the public on October 16. The next version of Mac OS X features a overhauled user interface and a variety of new features, and is currently in Golden Master testing. Considering the event is next week, the latest developer build versioned as GM 2.0 may wind up being the final version. Finally, there is some speculation (or perhaps just hope) that the Mac Mini lineup could receive an overhaul on the same date. Additionally, there are faint rumors from 9to5mac of a Retina capable MacBook with a 12″ display, and separately, longstanding talk of a Retina capable external Thunderbolt display, though few anticipate either to debut on October 16. And iOS 8.1, which is currently versioned at beta 2 and scheduled to launch sometime this month, will probably not be released on that day. Is it just me or does this crop of Apple’s logo look like an open book with the tip of a pen? Are the iPads getting a stylus and hoover capability akin to the Samsung devices? Steve Jobs was 100% wrong about no need for a stylus. Just ask any student copying down formulas in a math class, or an engineer scribbling down a circuit drawing. If there was a big ipad with a wacom-type pointy stylus to replace my pencil and notebook I’d be all over it!! Fantastic! Time to countdown again.